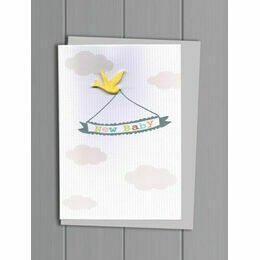 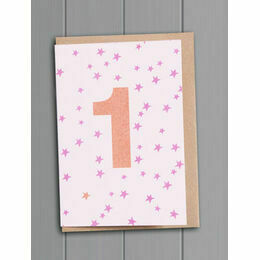 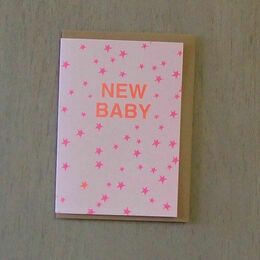 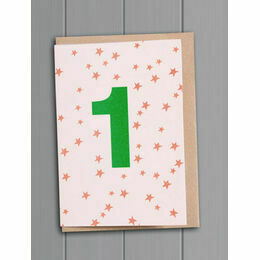 This simple card is a lovely way to congratulate a friend or a relative on the birth of their baby girl. 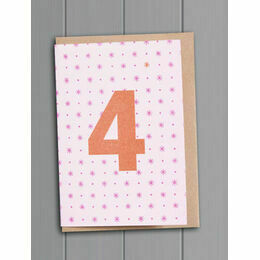 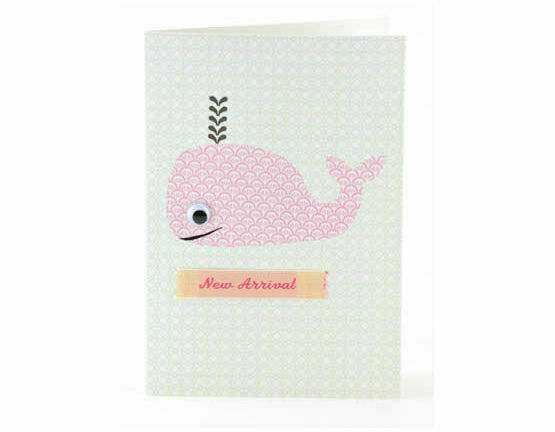 The card features a pink whale on a background with a vintage all-over pattern. 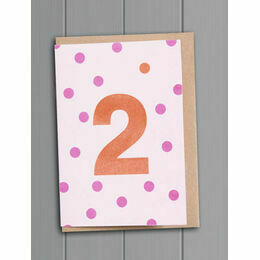 The reverse of the card features a contrasting chocolate coloured pattern. 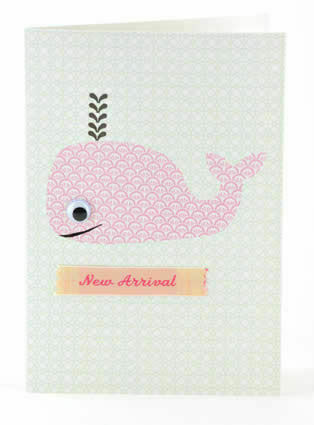 A name tape says New Arrival and the whale has a googly eye as a charming finishing touch.